A customer operating in the defense industry has developed a need for an automatic test station with an electronic infrastructure to be used in mass production verification of designed boards with multiple functions and high intensity to test for design requirements. In this scope, the customer’s expectation is an automatic test equipment that enables testing of different protocols and sound, video and communication interfaces with a wide range of sources from high capacity power and load modules to high speed ethernet interfaces in its structure. In order to provide the suitable infrastructure for the requirements of the board designs to be tested DEICO combined the necessary hardware and software infrastructure in a computerized test station with consideration for the customer demands. This automatic test station designed and produced by DEICO will be used in the mass production tests of board designs which have different functions with high intensity and multiple interfaces and DEICO will provide hardware and software support service to the user. 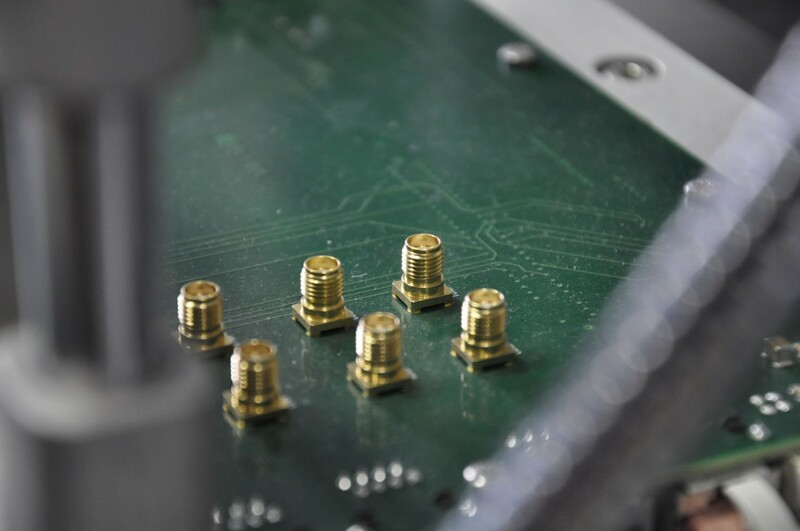 An advanced automatic test equipment with the desired capabilities and capacities was generated and the infrastructure suitable to test many boards with high intensity was provided for the service of the customer. DEICO, which succeeded in providing the infrastructure in a capacity that is capable of nearly one hundred percent testing the intensity of the board designs generated through advancing technology, produce 3 of the new generation automatic test equipment that it designed and provided them for use. Remote control of all devices with C/C++, C# and NI LabWindows etc. In order to provide the suitable infrastructure for the requirements of the board designs to be tested DEICO combined the necessary hardware and software infrastructure in a computerized test station with consideration for the customer demands.